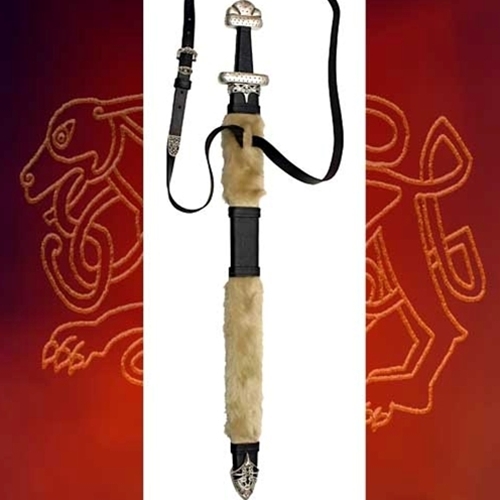 The Sword of the Viking King is when the Vikings exploded out of the north to raid and settle most of the known world. 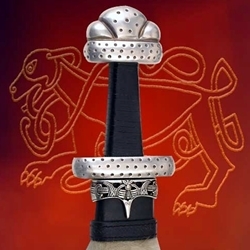 They also warred among themselves and it was not unusual for kings to lead and engage in combat themselves. 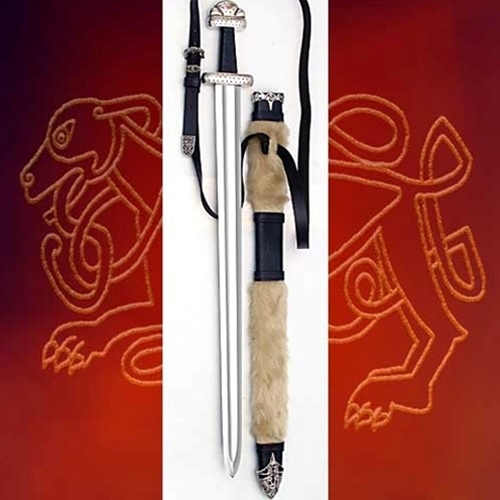 This sword and its intricate scabbard are fit for one of those brave Nordic kings. 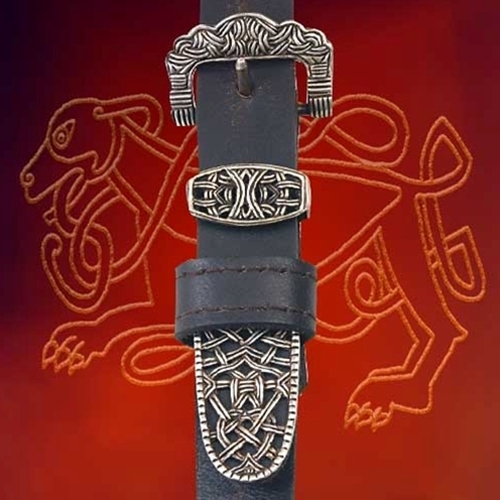 Each steel part is handmade and incredibly detailed, especially on the leather embossed scabbard, then richly plated in real silver. 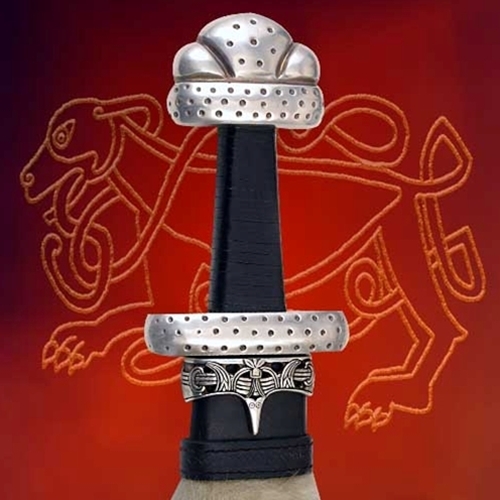 The light, wide fullered Viking style blade is 1095 high carbon, well tempered steel. 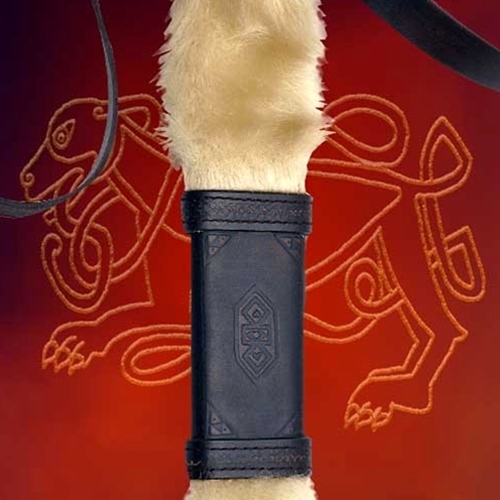 The scabbard is wood covered in rich harness grade leather with embossing and covered in faux reindeer fur. 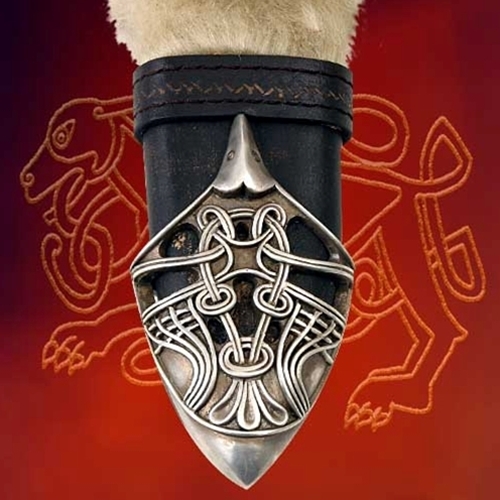 The beautiful metal parts are applied to the scabbard and the included baldric. Altogether making this entire piece fit for a king. This sword can be sharpened for an additional fee. Can be seen in the DK book Warrior. Free Shipping: Continental U.S. standard ground.